Cinder blocks are strong, heavy and fireproof building material units that can be stacked to make almost any structure desired. A cinder block barbecue island could be the centerpiece of a backyard patio and will provide a sturdy charcoal and preparation surface. By covering the exterior surface of the island with stone and slate, it will be weatherproof and eye-catching. 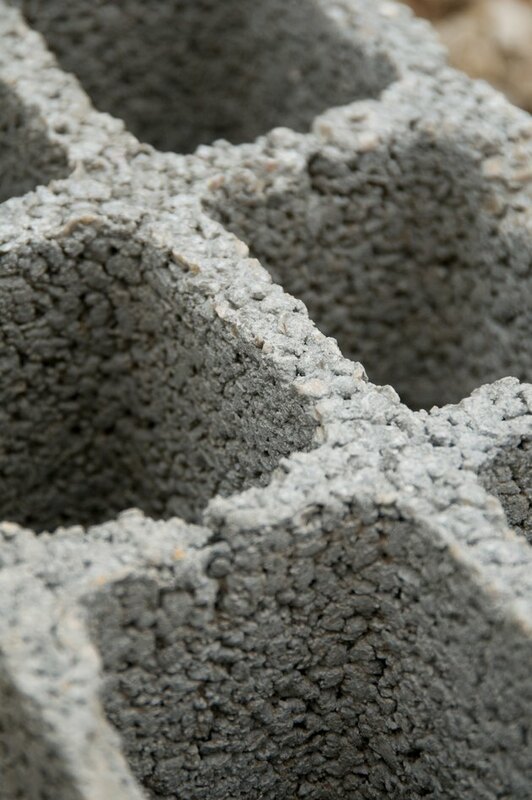 All supplies needed, including the cinder blocks, can be found at building supply stores. Cinder blocks make a strong, fireproof BBQ island. Carefully position three cinder blocks lengthwise on a level outdoor surface to create a 48-inch-long cinder block line. Position two cinder blocks lengthwise at a 45-degree angle to the ends of the block line, creating a U shape. Center one cinder block lengthwise in the center of the U, creating two connected U shapes. Mix five parts of sand with one part of cement in the wheelbarrow with the trowel. Add enough water to the mix to create a mortar that is the consistency of oatmeal. 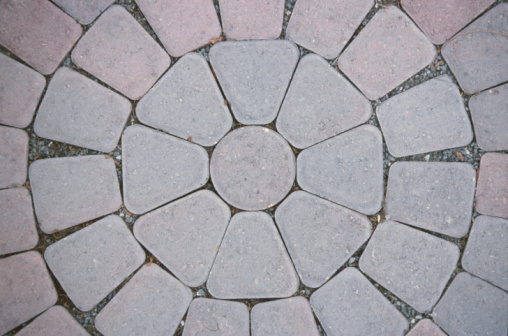 Add five layers of cinder blocks to the original shape, connecting the blocks with mortar. Use the trowel to apply the mortar to the outside vertical surfaces of the cinder blocks, and press the pea pebbles into the motor. Cover one open U-shaped top area of the completed barbecue with the charcoal tray. Cover the remaining U-shaped open area with the slate.